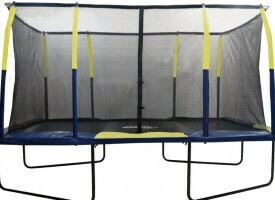 SkyWalker rectangle trampolines are well known and established brand trampolines you have definitely heard of. 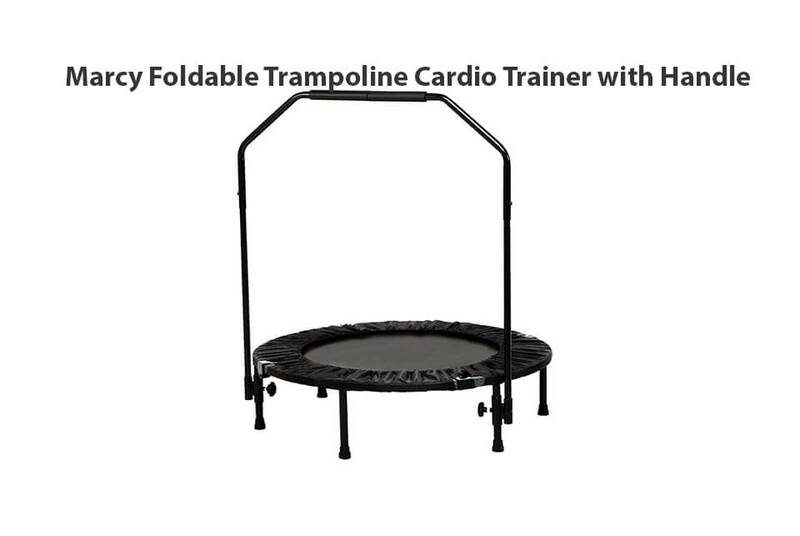 It is a recreational trampoline best used for general fitness training and/or child`s play. 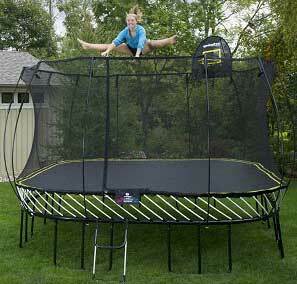 SkyWalker 15×9 ft trampoline comes with good quality and all with reasonable price. 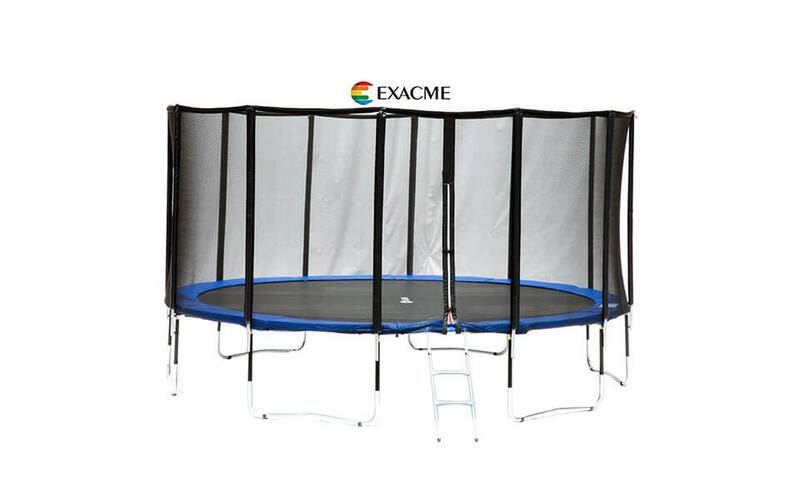 It is a good size trampoline which can easy hold up to 4 kids at a time. Frame consists of thick galvanized iron steel supported by 4 W shaped legs. 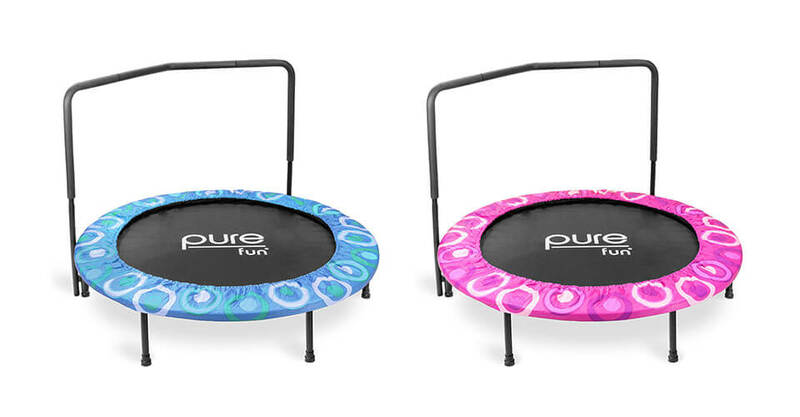 As it feels sturdy enough for recreational bouncing we have a feeling that 6 W legs would make a huge difference regarding shaking while jumping. As a quick fix, trampoline anchor kit can be used. 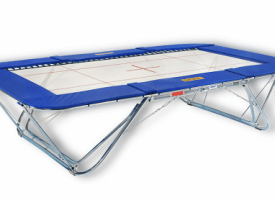 All joints of the frame are extra secured with T-sockets which ensures structural integrity of trampoline frame. There is total of 76 springs which are 7.5″ long. Also, 12 of those springs are extra wide and should be placed at specific pressure spots around the mat. Whole idea of those “additional” springs is to create extra bounce. As we were not totally happy with bounce itself, question is how much those springs really help. We expected more out of it! Total jumping size of mat is 7x13ft. 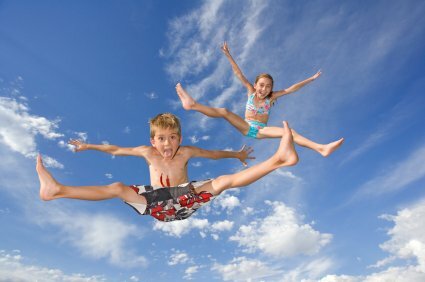 Bounciness is only slightly better than on round trampolines and it is crucial that you have on mind that there are some differences in jumping on round or rectangular trampoline – round trampolines will always direct you to the center of the mat while rectangular won`t, so be cautious while performing flips on your new trampoline. 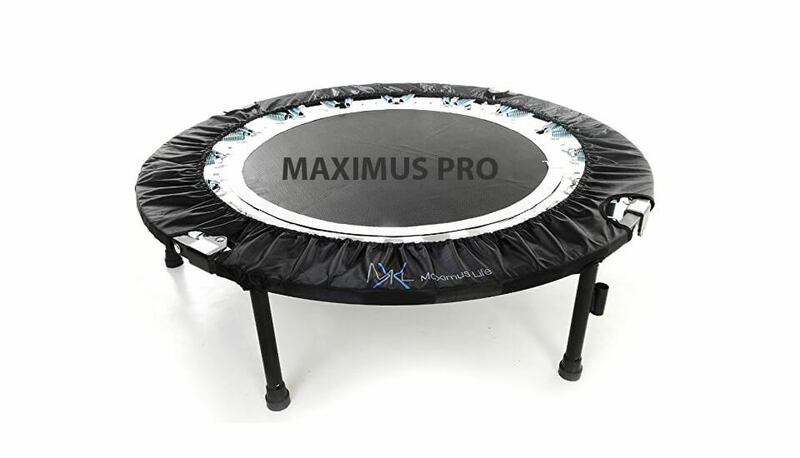 Enclosure is connected directly on the mat V ring, so there is no way to hit the springs of trampoline – technology patented by Skywalker and called “Stay Put“. Entrance is secured with a zipper. Enclosure poles are also padded with soft foam so chance of being hurt when hitting poles is minor. 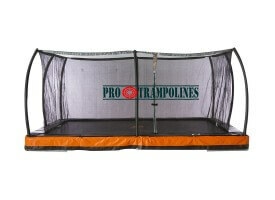 Total measures of trampoline are 15’L x 9’W x 9’6″H (with enclosure)! Mat is good but not quite bouncy. Maybe a bit longer springs would do the trick. We hope that at SkyWalker they work on next-gen trampoline model to rule the trampoline world… Anyways, 0.1 points of the chart…sorry. Thick frame. Legs do lower a point or two but frame is actually really good. 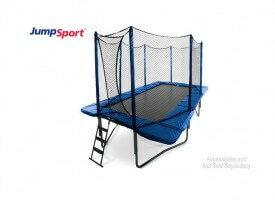 Add some legs and there is perfect trampoline. Bad assembly manual. Some steps will be a bit difficult to follow. But once you get it, it should be easy to follow. Complete assembly requires around 3 – 3.5hrs and requires your wife or best friend! :) Warm sunny day also required! 6W legs would really come handy. 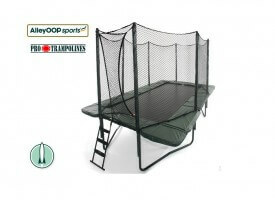 Warranty on trampoline frame is 1 year while all other parts have only 90 days limited warranty. 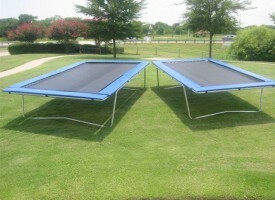 But when it comes to SkyWalker we know that this trampoline will last much longer than warranty guarantees. 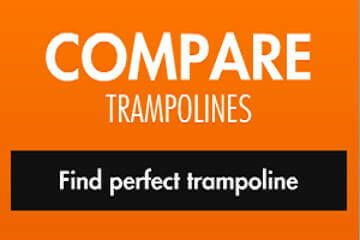 Check reviews of best trampolines! Buy now! Here is a one really good video of assembly of this trampoline.We encourage you to watch it to get good insight on what you buy. Also, promo video is available on YouTube! 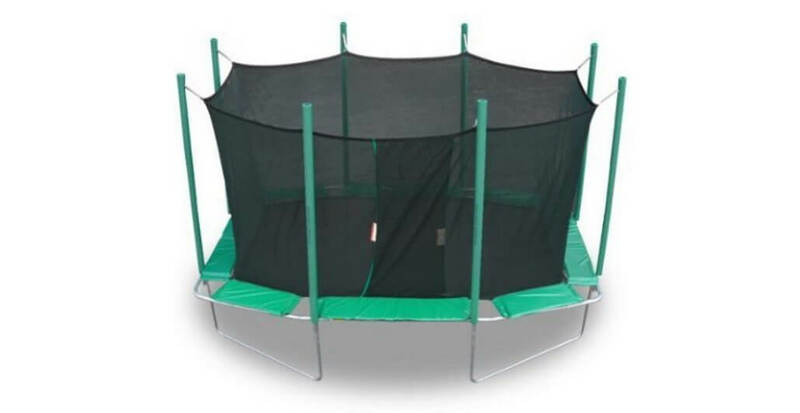 Skywalker Rectangle Trampoline - 15x9ft. 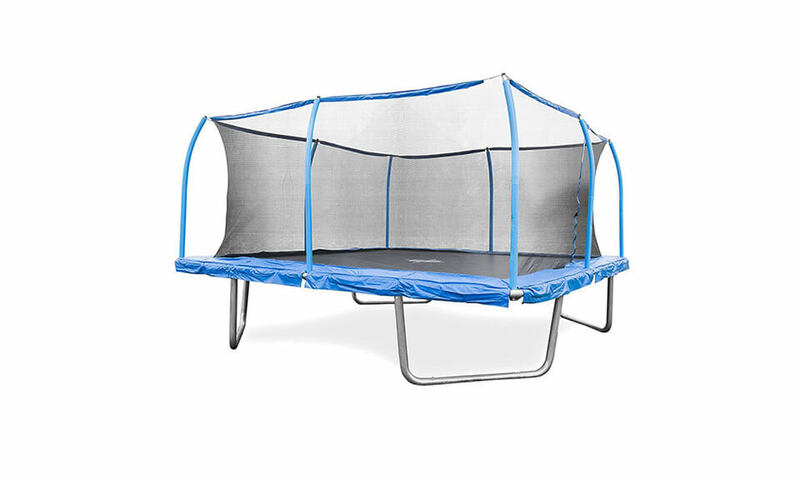 SkyWalker15x9ft rectangular trampoline Overall is good and sturdy trampoline but with few improvements would be better. 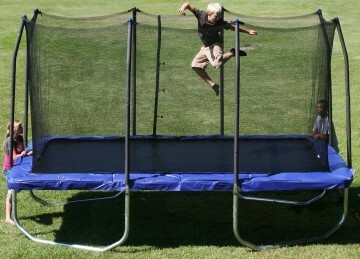 We can`t wait too see new series of SkyWalker trampolines, hoping they`ll be on the market soon!